I’m lying on a yoga mat, attempting to extend my right knee across my left leg while simultaneously keeping my right shoulder planted on the floor. Breathing through this twist will apparently relieve stress, improve circulation and free my mind of unwanted thoughts. And all I can think is…. I wonder when was the last time anyone washed this mat? And it’s my mat, so, really… I should know the answer. Did I mention I’m not a yoga person? I’m a Type A, Operating in a State of Crazy, “This-is-who-I-am-and-you-can’t-change-me-so-don’t-even-try” kind of person. Now I’m in a phase in my life defined by curiosity. I’m learning that maybe I’m not exactly who I always claimed to be. Maybe there are pockets of me left to discover. A better me. Maybe this rigid way I’ve defined myself isn’t best at all. And that discovering who and all I might become requires extending outside of my comfort zone. You know, being a little more… flexible. Since I see stories everywhere and symbolism in those stories, I’m taking my own advice off the mat and into other areas of my life. 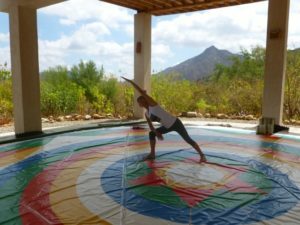 How does an inflexible person become more flexible? And what are the benefits for doing so? For answers, I turned to Fran Keogh, a business coach who helps her clients turn limiting beliefs into increased revenue and sustainable success. A lifelong learner, Fran has served as a development director for public radio, a voice-over artist, a culinary arts student, a holistic health coach and even an alpaca farmer. Yes, an alpaca farmer. 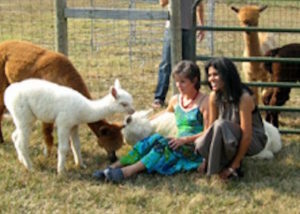 Fran “rewired” herself in middle age, studied husbandry and for six years owned an alpaca farm. Somewhat fittingly, she is also a yoga teacher. Who better to help explain the benefits of flexibility? Fran uses a holistic approach to her client’s needs to open them to new ways of thinking so they can make more money and create the freedom to do what they love. She says flexibility is about letting go of the need to have control whether you’re an entrepreneur trying to find your niche or a corporate climber dealing with reorgs and a micromanaging manager. Fran cites a few reasons we become inflexible in our approach. Which ones are familiar to you? We’re overly focused on the outcome. We can prepare as much as possible but can’t always control the outcome. Fran points out that trying to rigidly control an outcome not only creates stress, it might lead to overlooking other opportunities. “Save space for serendipity to show up,” she advises. We’re creatures of (bad) habit. We have to be open to coaching and change. Inflexibility is the sign of a controlling person. Fran says accepting revision and even failure is part of the process. Every experience and situation presents an opportunity. So how do we flex our flexibility muscle? Fran recommends different tools for different people. It starts with acknowledging resistance to change and ultimately comes down to practice. Business, she says, is very much like yoga. It sounds like solid core work to me. With a nice stretch built in. And I’m ready to get to work. But Fran warns to be flexible in our approach to flexibility. So here I am, trying to coax that leg to the other side of the floor and twist just a bit further than last time. Staying strong but flexible. And it feels pretty good, this openness to both my hip and my mind. I don’t even smell the mat anymore. I’m focused on the task at hand, but flexible to all that might arise. How about you? Where have you been too rigid or holding on to an outdated mindset? Where can you be more flexible in your approach? 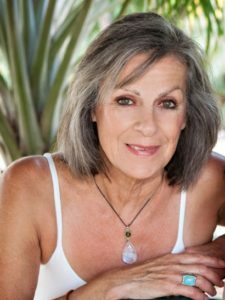 For more on Fran Keogh check out her website: https://frankeogh.com and follow her on Facebook, Instagram and LinkedIn. Valerie Gordon is the founder of Commander-in-She and a speaker and writer who focuses on the power of storytelling for career success. A former control freak, she’s learning to be more flexible. She goes to yoga twice a week and strikes a warrior pose whenever the mood strikes her.